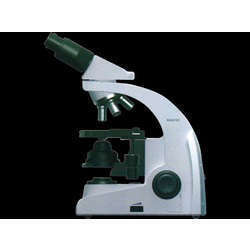 Pioneers in the industry, we offer hs -108 biological microscope with seidentopf binocular head, hs 5000ft epi-fluorescent microscope with trinocular head, trinocular microscope, microscope and optical microscope from India. © 30 degree inclined, 360 degree rotatation. (C) 30 degree inclined, 360 degree rotatation. (C) Eyepiece WF10X / 20mm. (C)Condenser Abbe type N.A.=1.25 with Iris Diaphragm. (C) Focusing Coaxial coarse/fine focusing knobs. 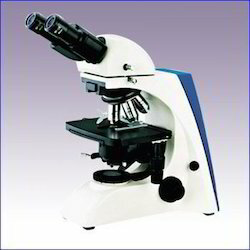 Welcome to the internet store for Trinocular Microscope equipment. We are glad you came to visit us and read all about microscopes with trinocular photography ports. Let’s begin with a basic explanation of what we mean by a trinocular microscope. First, we all know that mono means one, bi means two, and tri means three. 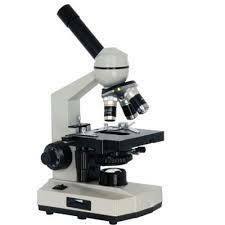 Then, from microscopy terms, we know that monocular refers to the eyepiece opening or viewing tube. This part on a microscope is where we look into it. 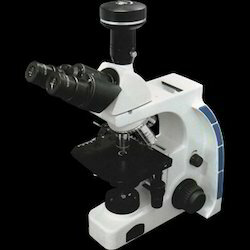 A monocular microscope has a single viewing ocular tube with a single eyepiece to pick up and magnify the microscopic image. A binocular has two viewing eye ports, and is more easy to use as it corresponds to humans having two eyes. A trinocular port on a microscope is the third port. It is used for micro photography and video applications. With our vast experience & knowledge in the respective field, we are engaged in manufacturing a wide range of Optical Microscope. Inspection Instruments in Leading Brand Mitutoyo and other brands. These brands are available for Competitive price to our customer.